If you’re looking for a high-quality, full-size luxury SUV, you’re not alone. This is a segment that has been growing for over a decade and accordingly, luxury brands have been forced to become extremely competitive. Advancements in performance, technology and style have made these automobiles highly desired and fiercely sought after, with good reason – some of the best vehicles in any segment can be found right here in the luxury full-size SUV department. But if you thought Lexus is the only game in town, then you probably haven’t seen what INFINITI brings to the table. The 2018 INFINITI QX80 is a freshly designed three-row hauler, much like the Lexus LX 570. But INFINITI pushed harder for performance specs – the QX80 reaches 400 hp with its standard V8, hitting 413 ft.-lbs. of torque. By contrast, Lexus reaches 383 hp with up to 403 ft.-lbs. of torque, which is still quite respectable, but the difference is noticeable to most drivers. Both vehicles naturally come with a wider range of standard and available features both inside and out. Luxury SUVs boast some of the best driving technology out there today, and nearly every safety feature comes not only standard but provided by industry-leading manufacturers. But where INFINITI leads Lexus is in the range of options. Any car shopper could find exactly what they want in exactly the configuration they want as far as Bluetooth, airbags and parking assistance in the INFINITI QX80, and INFINITI provides your choice of nine exterior colors—more than double that of Lexus’ five color options. Additionally, INFINITI provides more options across all trim levels; several features are only available on higher trim levels of the Lexus LX 570. The INFINITI QX80 may have better performance and more bells and whistles but car shoppers will still pay less than for a Lexus LX 570. And cost of ownership is also reduced by better fuel economy (in spite of a stronger V8 engine) as well as lower maintenance costs. And if you think value up front means less reliability, don’t worry about that either: INFINITI’s basic warranty covers up to 60,000 miles, which beats the Lexus basic warranty that covers up to 50,000 miles. So if you’re thinking of a full-size luxury SUV for your family, and if you’re thinking of a Lexus because your neighbor got one…think again. 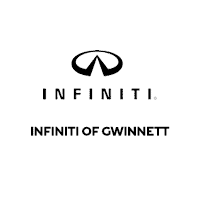 Stop on by INFINITI of Gwinnett and test drive the INFINITI QX80. See and feel the difference for yourself!